« Visit to the Maritime Museum in Dún Laoghaire. 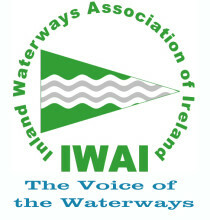 In keeping with our promise to arrange some different branch events, on Saturday 14th April 2018 IWAI Carrick will hold its first branch meeting of the year during a trip to RAMS Island, Lough Neagh. (at the invitation of IWAI RBLNA.). This is a great opportunity to visit this heritage project and see the fantastic work carried out by the volunteers. An email will be sent to all members in the coming days and we will need to know attendance for this event. So check your diary and get planning. It will be another great day out. This event is open to all IWAI members.